Expect a warm welcome with a relaxed atmosphere. Short walk to town centre, parks and Derwentwater. Ideal base for walking, cycling, climbing and touring. Hearty English breakfast. Yew Tree is a traditional Victorian lakeland slate, terraced house. We offer simple relaxed accommodation. 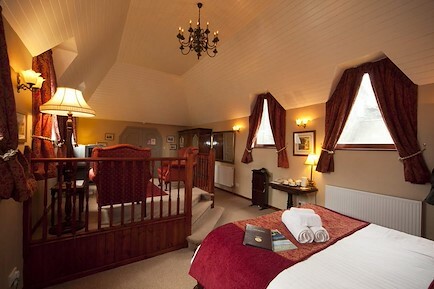 Your stay will include a very comfortable bed in one of our tastefully decorated rooms with a hearty full English breakfast. We can offer a choice of six clean, comfortable bedrooms, with two en-suite rooms with showers and four standard rooms with access to both bath and shower. All bedrooms have flat screen LCD televisions, cd radio alarms, tea and coffee making facilities and wash basins. The shops and facilities of Keswick are only a few minutes walk away, but a fifteen minute stroll will lead you to the breathtaking shores of Derwentwater and yet we are only 25 minutes by car from the M6 motorway and accessible by bus and rail. For those with cars there is ample, unmetered street parking available directly outside the house. From the North & South, leave the M6 motorway at Junction 40 and turn left onto the A66 heading towards Keswick. Follow this road for approximately 15 miles until you reach the Keswick turn off. At the junction you need to turn right onto Penrith Road heading towards Keswick town centre. After approximately half a mile turn left onto Greta Street. Cross over both Blencathra Street and Helvellyn Street, which will take you onto to Eskin Street where you will find Yew Tree House on the left hand side. Your enquiry will be sent directly to Yew Tree House. Please fill in as much detail as you can.